2 foot fluro troffer light. 2 foot metal housed propagation light. Grolux lamps included. Similar to a standard batton holder bu..
4 foot fluro troffer light. 4 foot metal housed propagation light. Grolux lamps included. Similar to a standard batton holder bu..
E39/40 standard mogul for use with bare hanging lamps or china hats. All HID lamps up to 1500W. Roun.. Original adjusta wing lamp holder. Horizontal design to suit all original Adjusta wings. 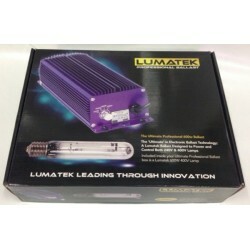 E39/40 mogu..
Budget 400W HPS light kit. Budget 400W MH light kit. Great entry level kit. Ideal for mother plants or growing application. 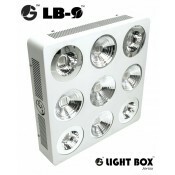 400W ballast small white seah..
Budget 600W HPS light kit. 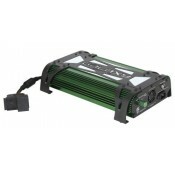 600W ballast small white seahawk shade 600W..
Budget 600W MH light kit. Cool tube 150mm x 590mm White Shade. 150mm x 590mm air cooled reflector. Unlike cheap Ebay style reflectors, these are.. Cool tube 150mm x 795mm White Shade. 150mm x 795mm air cooled reflector. Unlike cheap Ebay style reflectors, these are..
Parabolic deep bowl style china hat reflector. One piece and Powder coated for durabiliy. Old school.. Spun China hat shade for using lamps vertically..
Dominator XXXL 6 inch air cooled shade. The ultimate in Aircooled shades from Sunlight supply Co. USA. 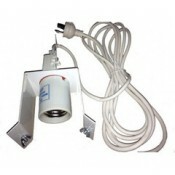 Massive size for increased coverage a..
Gavita 600W enhanced HPS lamp. GE PSL 600W 240V HPS lamp. New from General Electric. 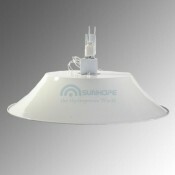 PSL 600W HPS lamp for 240V ballasts Higher PAR rating and lumen per watt ..
GE PSL 600W 400V HPS lamp. New from General Electric. 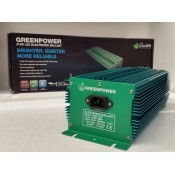 PSL 600W HPS lamp for 400V electronic ballasts Higher PAR rating and lume..
GreenPower Mk2 315W LEC Light kit. Convert your existing shade to LEC. Latest technology in HID powe..